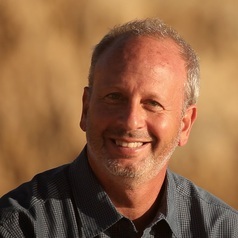 Michael W. Beck is the lead marine scientist for The Nature Conservancy and an Research Professor in the Institute of Marine Sciences at the University of California Santa Cruz, where he is based. Mike works on coastal marine conservation across science, business and policy to bring clear tools and results to decision-makers. Mike focuses on building coastal resilience in the interface between adaptation and conservation, and he aims to reduce risks to people, property and nature. His approach is multi-disciplinary across ecology, engineering and economics. Mike has authored more than sixty peer-reviewed science article He has also published numerous popular articles including OpEds in the NY Times, The Hill, Miami Herald, Huffington Post, The Scientist and the Caribbean Journal. Mike has served on advisory committees for the National Academy of Sciences and NOAA. He was a Fulbright Fellow, an Australian Research Council Postdoctoral Fellow and a Pew Fellow in Marine Conservation .